I uploaded a new video late last night. I recently made an online purchase from StyleMint, & I went shopping in downtown SF with my sister. Watch the video below to see the new items I picked up from StyleMint, H&M, & Victoria's Secret. ENJOY! So it is Wishlist Wednesday again, and today I'm going to be talking about a perfume that I've been obsessing over for at least a year now! 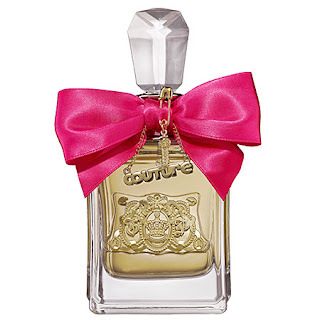 It is Juicy Couture's Viva La Juicy Eau de Parfum Spray. I received my very first sample of this perfume last January in an order from Sephora.com. 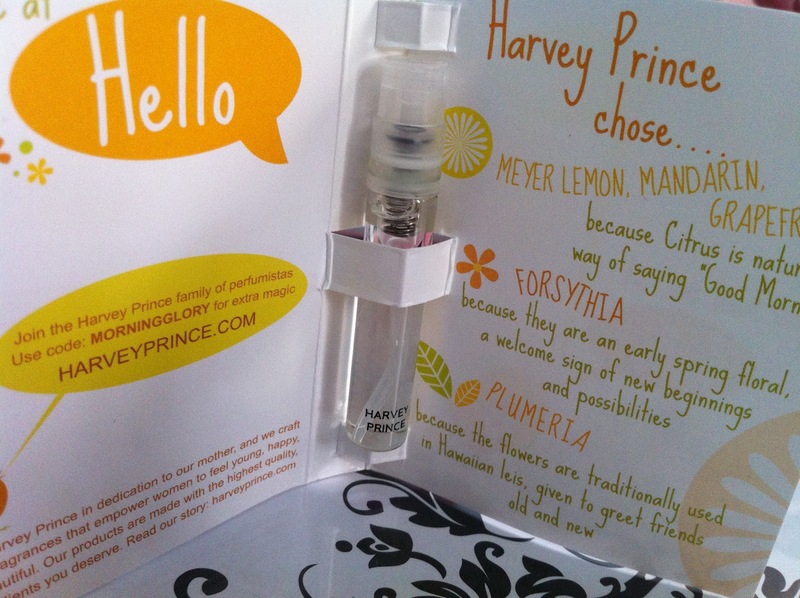 I was in love at first spritz! I quickly used up that first sample and received so many compliments on it. Viva La Juicy Eau de Parfum is described as tantalizing, teasing, and tempting. The scent is a sweet mix of wild berries, mandarins, honeysuckle, gardenia, jasmine, amber, caramel, vanilla, sandalwood, and praline. 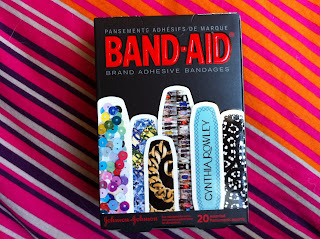 The packaging is also very girly and fun. I love the bright pink bow and delicate gold charms on the bottle. Unfortunately, it is priced at $52.00 for only 1oz. I have been saving my pennies for the rainy day I choose to splurge on this! The scent is amazing, and I definitely want to get my hands on it in the future. Do you own a bottle of Viva La Juicy Eau de Parfum? Would you like to own a bottle? Let me know in the comments below! So for today's TV Tuesday, I'm going to talk about one of my favorite shows on MTV right now, "AWKWARD." AWKWARD is currently in its Second Season, & I must say that if you have not started watching this show already, go to MTV.com to catch yourself up! The entire First & Second Season is available to watch instantly. AWKWARD follows the daily life of Jenna Hamilton, an unpopular 16 year old who gained immediate, yet unwanted, popularity at her high school when the student body mistakes an accident she has for a suicide attempt.In Season One, Jenna tries to move past the rumors, while struggling with her on-again/off-again relationship with Matty McKibben, & trying to figure out the identity of the person who sent her the Secret Letter that caused her world to tumble down around her. This show is fun, funny, & definitely awkward at times, but it's also incredibly addicting to watch! So what are you waiting for?! Catch yourself up on MTV.com, & be sure to watch AWKWARD every Thursday Night at 10:30pm PST on MTV. I painted my nails with OPI's Gargantuan Green Grape late last night, & let me just say that I am in LOVE with this color. If you watched my most recent haul video, you will know that I fell for this color at first sight. Passing by the OPI nail polish at ULTA, the particular shade caught my eye, and I knew that I couldn't leave without buying it. It is the perfect mint green color! I have had no problems with this color so far. It applied very smooth and creamy to my nails. It was opaque in two coats, but I did apply a third coat for good measure. I know that pastel colors are more popular in the Spring, but this color still exudes a fun, playful vibe that screams Summer to me! I have gotten so many compliments on this nail color, & today is the first today that anyone has really had the chance to see it. No chips so far, but we'll see how this nail color lasts through the week. Be sure to come back next Monday to see which nail lacquer I will choose next! As most of you already know, I've been training for The GIANT Race, which is a 5K in September benefiting Project Open Hand. I announced in an update video back in May that my sister and I would begin training. I have never been a very strong runner nor do I love running. I have been able to run 3 miles in the past, but I was still in high school, which is quite a few years ago. Today, I want to share with you all the weekly running routine my sister and I have been following to prepare for the 5K. So without any further ado, let's get started! Below is the typical running schedule my sister and I started. Back in May, my sister and I began our training barely able to run 1 mi without being completely out of breath. This is how we got ourselves started. In each of the following weeks, my sister and I increased the distance that we ran by 1/4 of a mile. This way we were both able to work our way up to running further distances without completely overworking our bodies. I was shocked at how quickly I was able to get back into running. I am currently up to 2.5 miles without any problems. In about two weeks, I should begin running 3 miles 3 times per week. I am absolutely sure that my sister and I will be ready for The GIANT Race come September. I am currently still raising money for The GIANT Race. Click HERE if you would like to donate to Project Open Hand. Any donations are greatly appreciated! I'll keep you all updated on my running endeavors in the future, especially once I see a difference in my overall health. Watch the video below from my vlog channel if you want to see what a typical Sunday of running looks like with me and my sister. Today's Video: Subscribe to DeniseJoyceTV! I uploaded a new video on my YouTube vlog channel "DeniseJoyceTV" this morning. If you are not yet subscribed to my vlog channel, I suggest you do asap so you don't miss out on any future vlogs! This vlog was filmed last Wednesday, July 18th. I had just gotten back from Target and Barnes & Noble, and I decided to film a little bit while I was uploading new video footage from my camera to edit. Check out today's video down below! As you can tell by the title & the fun Polyvore collage I put together, my favorite trend of the season is NEON! Summer has been passing by quickly, but this trend is still as hot as ever. I love the fun, bright colors! You can wear this trend in so many ways. Color block different neon shades in an entire outfit, or add a neon pop of color to a neutral outfit with your accessories. If you have a bold sense of style like Nicki Minaj, try color blocking! Use two complimenting neon colors, like lime green & lemon yellow. Imagine a sheer lime blouse paired with a high waisted lemon shorts. Your eye catching outfit will make you the center of attention in any room you walk into. If the neon color trend scares you, try adding neon accessories to a neutral color outfit. A basic white tee & skinny jeans can be amped up with the right neon accessories. Slip on some neon pink wedges or grab a bright turquoise clutch! You can paint your nails a bright neon too! The possibilities are endless! How do you personally feel about this trend? Will you be rocking the neon trend this season? Leave your comments down below! Thursday's Thoughts: Do you believe in karma? Personally, I believe in good karma, bad karma, instant karma... and any other type of karma you can think of! Has a car ever sped past you, cutting you off, making you not only upset, but extremely scared at the same time?! Only to see them later on the side of the road getting a speeding ticket. Say it with me now! "KARMA!" There have been specific times in my life when I felt that I did something wrong or hurtful to someone, which in turn, came right around to bite me in the booty later in life. The same with doing good things for people. I found that good karma would come back to me as well, often in better ways than I could have imagined. Sometimes karma comes quickly as well. For instance, immediately after pretending to hit my sister, I'll walk into a door or hit my hand against the wall. LOL I'm sure many of you guys have experienced instant karma at some level. I've grown to take karma into consideration whenever making decisions. I do believe in having a conscience as well, but a lot of the time, people like to ignore that little Jiminy Cricket on your shoulder. Well, that is how I personal feel about karma. But what do you think? Leave a response below! Have you guys ever noticed my beauty wishlist in the right-hand column below? If you haven't, go ahead and take look right now. As you can see, listed are my most current lusted-after beauty products. 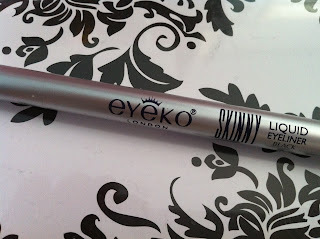 I've decided to dedicate Wednesdays to updating my current beauty wishlist, while also highlighting my number one most wanted product. Today's topic, as you can tell by the title and pictures above and below, is Sigma's Make Me Crazy Essential Kit. The Make Me Crazy Essential Kit was specially designed for fun yet functional makeup application. 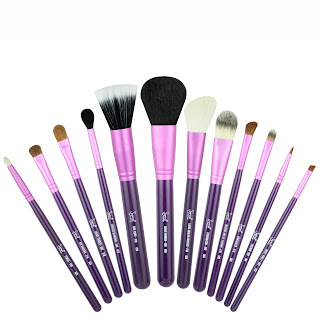 This kit contains twelve colorful brushes from Sigma's best-selling Essential Kit. The brushes come in an innovative and functional container that turns into two brush holders to keep you stylish and organized. Priced at $109.00, each brush comes out to be only ~$9.00 each! This kit has every essential brush for perfect makeup application. I would love to add these to my collection. The fun purple color (which just happens to be my absolute favorite color by the way!) make me want these brushes even more. Looking at them on my vanity would instantly brighten my day, and make my morning beauty routine more fun. Would you consider picking one of these sets up? Would you buy it if I told you I had a 10% OFF coupon code? Well... Today is your lucky day! Go to www.SigmaBeauty.com & use the code "AP2012" during checkout for 10% OFF your entire purchase! Don't be afraid to take a look around the website while you're there. Sigma not only has amazing brushes, but makeup & other great beauty essentials. I know that I am a little behind on blogs, but I have a decent reason... (Or at least I think so! LOL) I wasn't able to post a Mani Monday, because sadly, I having nothing on my nails at the moment. >_< Every few weeks or so, I decide that my nails are way too long, and I remove all my polish & cut them super short. Being a contact wearer, I can't have my nails too long, out of fear of scratching my eyeballs. I do promise to have my nails painted along with a detailed blog post on my current polish next Monday! With that said, I decided to highlight the latest video on my channel today, instead of discussing my current TV obsession. (I will be highlighting MTV's Awkward next Tuesday by the way!) As you can tell by the title & the picture above, I decided to try my hand at the $20 Makeup Challenge. Started by YouTube Guru, RissRose2, and JoseFigz, the $20 Makeup Challenge: If you lost all of your makeup, and only had $20 to spend on a full face of makeup, what would you buy? 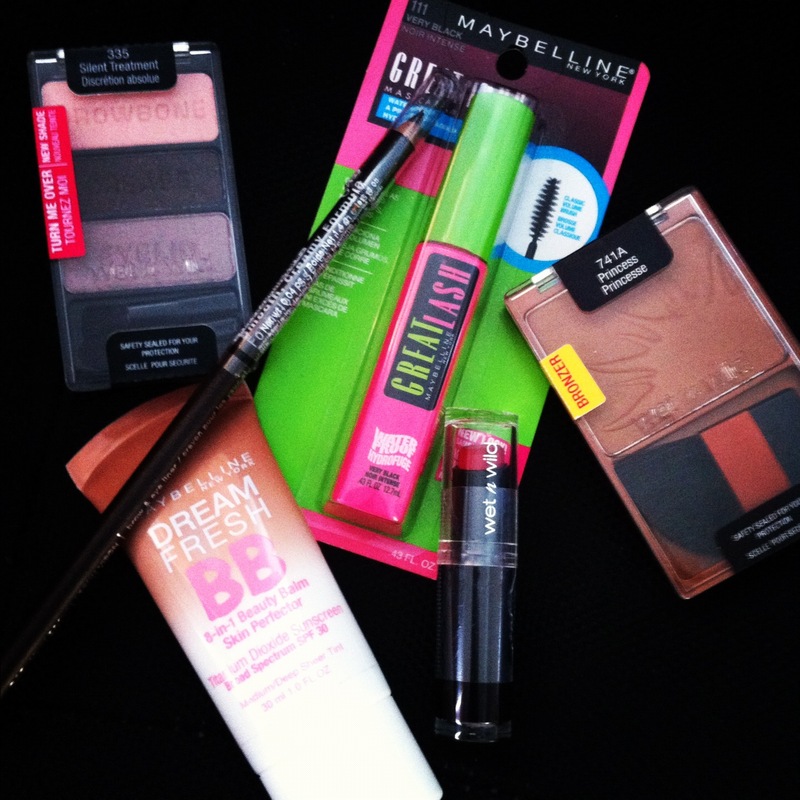 Sunday morning, I decided to head down to CVS with $20 in hand to choose my makeup. To make the challenge even more difficult, I chose CVS over Target. Most YouTube Guru's choose Target because it carries ELF products. ELF is the most affordable makeup brand that I know of in the US. You can get a lot of ELF products for as little as $1. I decided to go against my first instinct of Target to buy my products, to see if I can really push my pennies together & still create a decent full face of makeup. Although I didn't go to Target, I was still able to save a lot of money at CVS. Upon arrival, I scanned my CVS Extra Care Card at the Coupon Machine, & I received a coupon for $5 off a $15 Beauty purchase. (Can you say SCORE!?) My coupon definitely saved me some money! I'll go ahead & list out all of the products that I ended up choosing, along with prices to show you how my purchase totaled up. Did I pass the $20 Makeup Challenge? You be the judge! Watch the video below to see all the products in action! I explain how I use each products & give mini-reviews, while I attempt to create a full makeup look. ENJOY! I've Got Mail! 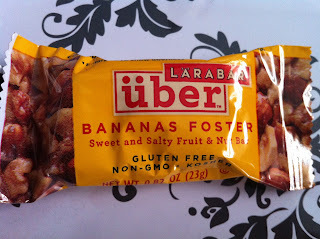 It's my July Birchbox! I was super late posting up last month's Birchbox, so I didn't want to waste any time this month. 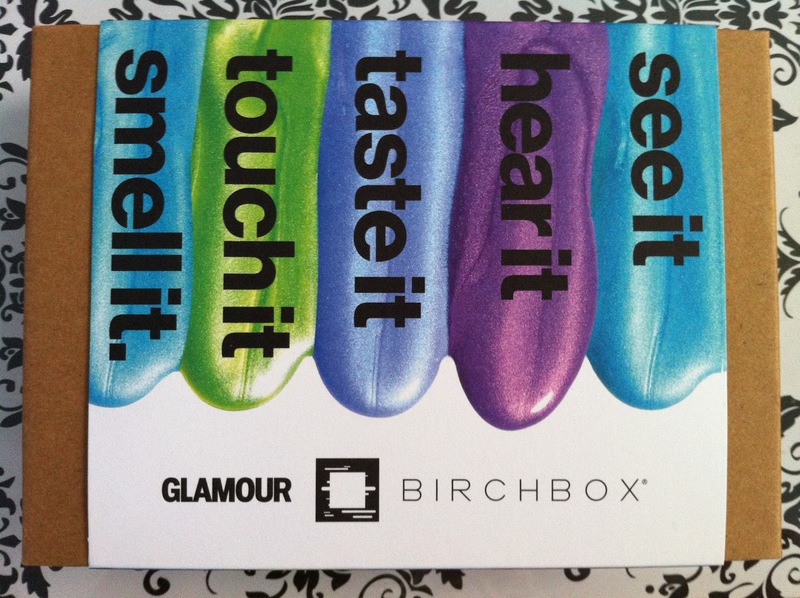 As you can tell by the picture above, this month Birchbox teamed up with Glamour magazine to celebrate the five senses of Summer! I was so excited to open up my box to see what fun products I got. 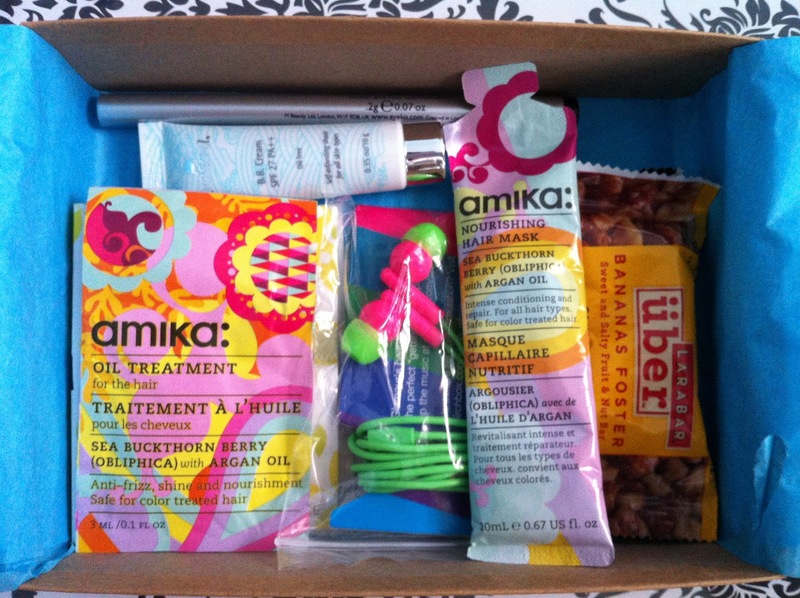 At first glance, I immediately noticed that this month's box had a lot more products than previous months. The fun, bright colored packaging of each product made me smile. Now for the fun part, I'll jump right into all of the amazing products I received, including the descriptions from the info card and the pricing for full-size products. "We designed these neon headphones just for you. 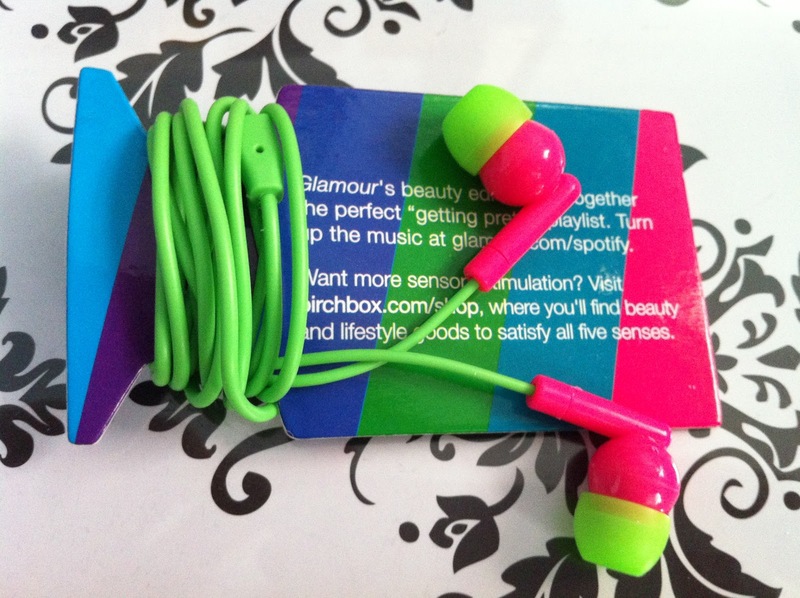 Pair them with your best playlist." This month's box was amazing! 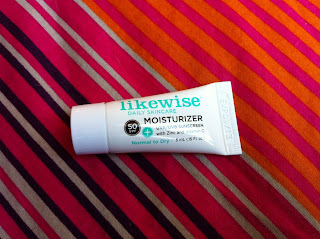 I have yet to be disappointed by Birchbox. Receiving my box each month feels like a mini-Christmas. Seeing that small, bright pink packaging at my doorstep sparks my excitement. If you haven't signed up for Birchbox yet, what are you waiting for?! You've missing out on some AMAZING products! 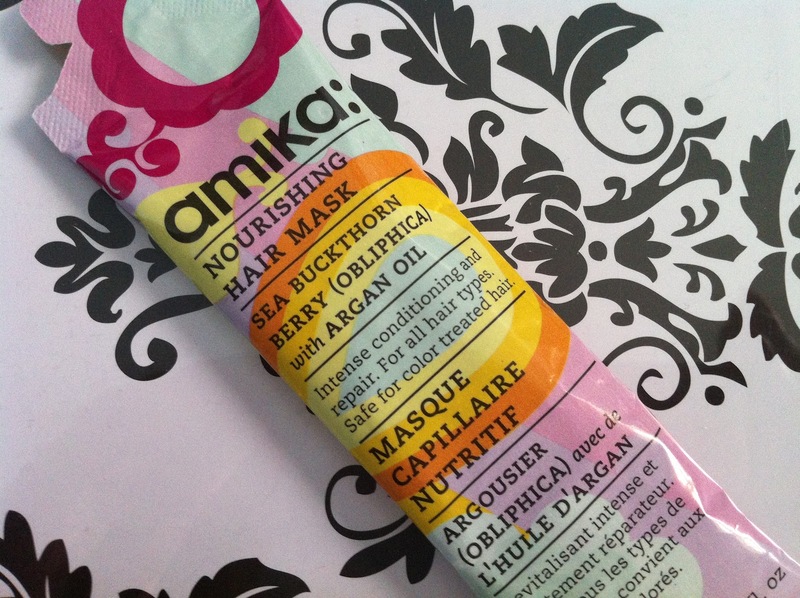 For only $10 per month, you'll be able to indulge yourself in luxe beauty samples. 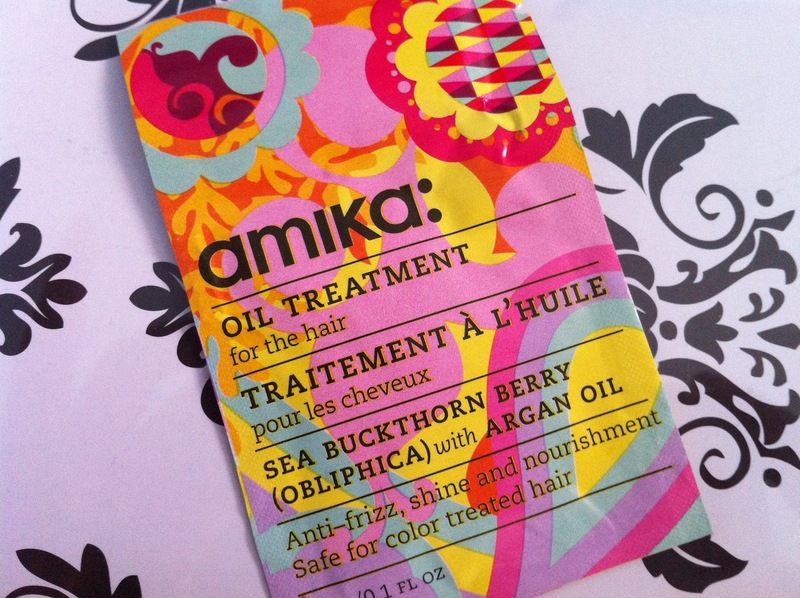 Go to www.birchbox.com & sign-up today! It's Tuesday, so hopefully you know what that means... (If not, just look at the picture above! haha) A new episode of Pretty Little Liars is here! I cannot wait! I was so PLL deprived last week, when there was no new episode. Luckily, I was able to catch myself up with the mini-marathon of Season 3, they showed last week. If you guys aren't too familiar with Pretty Little Liars, to quickly summarize the series without spoiling too many secrets, four best friends began to be secretly terrorized by an unknown person known as A, immediately following the funeral for their close friend, Alison DiLaurentis. This mysterious A secretly messages the girls each episode, threatening to reveal their darkest secrets. This show is incredibly addicting! If you watched my June Favorites video, you will already know that I caught myself up on the entire series! The entire First and Second Season of Pretty Little Liars is now available to stream on Netflix, so if you haven't jumped on the PLL bandwagon, now is the perfect time to do so. It is only a few episodes into the Third Season, so it's definitely easy to get all caught up. I can't wait to see what trouble A stirs up for Aria, Emily, Hanna, & Spencer in this week's episode. You can see Pretty Little Liars every Tuesday night on ABC Family at 8/7c. Be sure to come back to my blog next Tuesday to see what TV show is currently on my mind! If you watched my June Favorites video, I included one of my absolute favorite nail polishes of the moment, Call Me Gwen-Ever from the OPI Spiderman Collection. 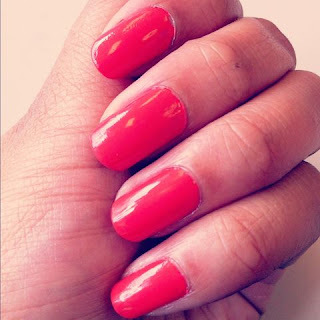 As you can see in the picture above, it is a beautiful coral red/orange shade. The formula of this particular polish is amazing! 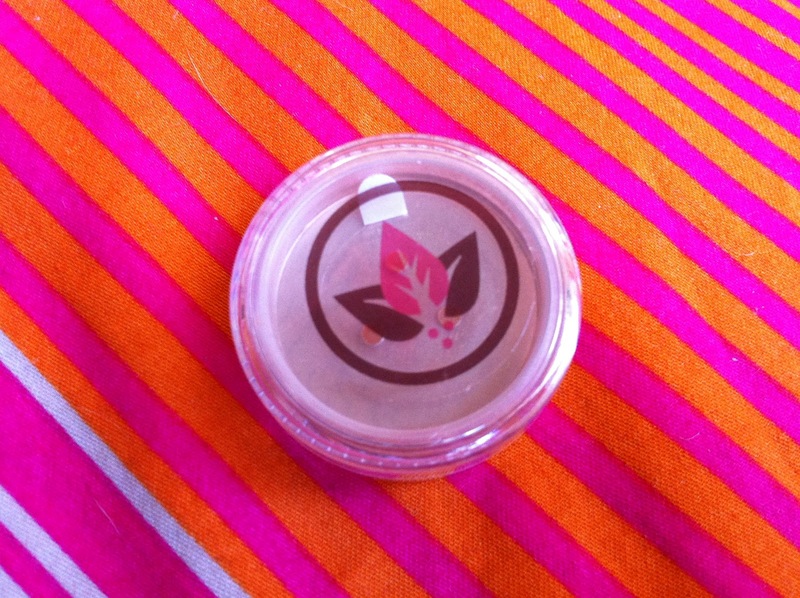 It applies opaque in two coats and has resisted chipping for the first 3 weeks. I've been wearing this color on my nails for over a month now. I feel like it's the perfect Summer shade. My polish has just begun to chip, and I'm dreading having to remove it. 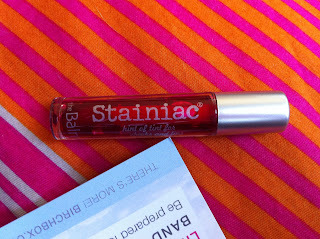 If you're looking for a fun, bright, summer shade, I definitely recommend you pick this one up. It compliments many different skin tones. Even on the gloomiest of days, seeing this color on your nails will instantly brighten up your day. I've gotten so many compliments from strangers on my nail color. I've re-painted this shade on my nails twice already, so it's definitely time for a change. Be sure to come back next Monday for an updated Mani Monday! 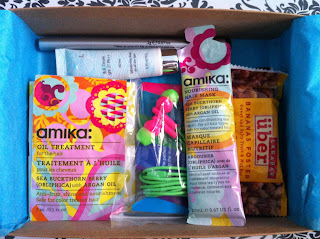 I got my June Birchbox ages ago, but due to my trip down to Los Angeles, I was unable to create my blog post. 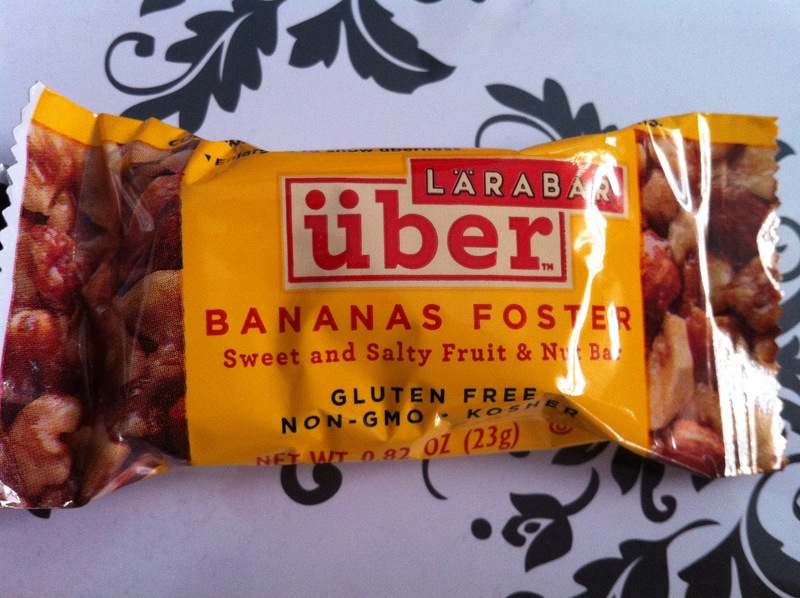 Ironically enough, June's Birchbox was inspired by traveling. It was full of fun products for your inner jet setter. I only wish that I received this box before I left for my Southern California vacation. 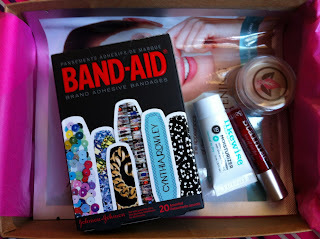 So without any further ado, I'll show you guys the goodies I received in this past month's Birchbox. I will list each product and include the info provided on the card as well as retail prices for the full-size items. ENJOY! 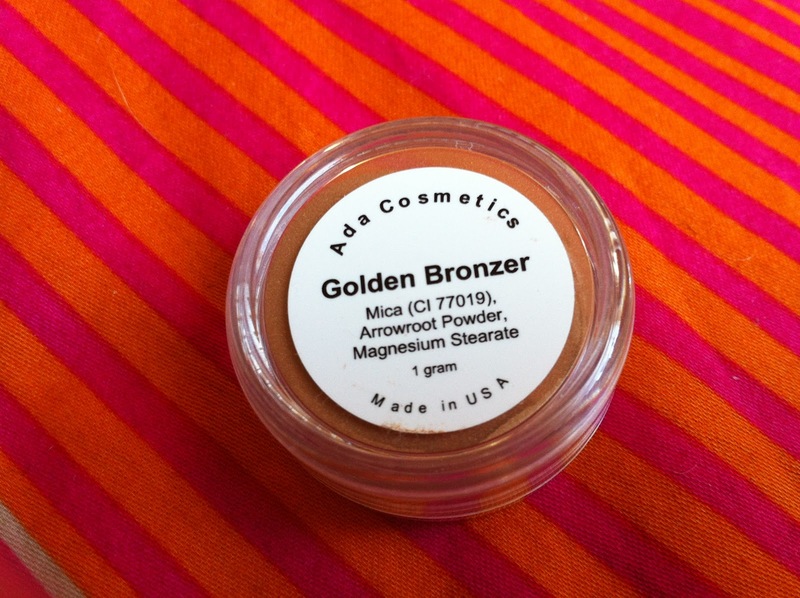 "Get an island goddess look the dermatologist-approved way with this shimmery, talc-free mineral powder. It flatters every skin tone." 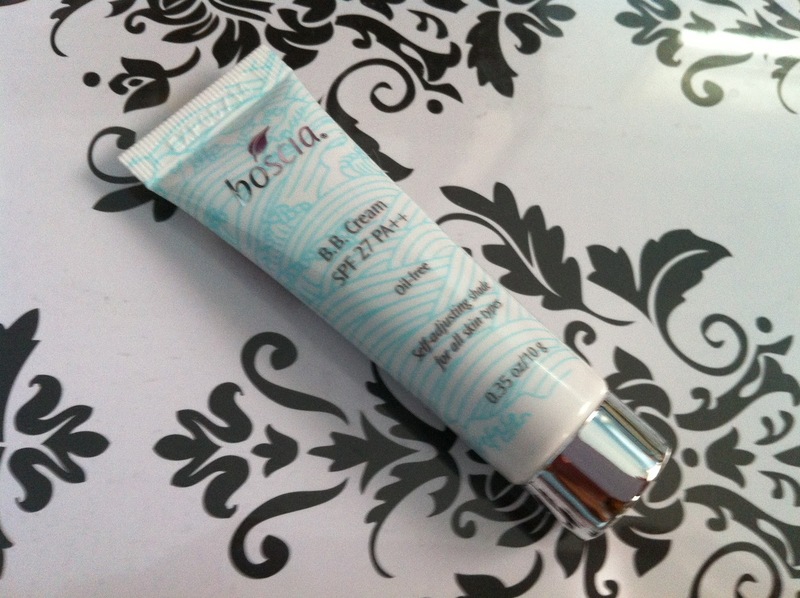 "Get sun savvy with this zinc-infused cream. 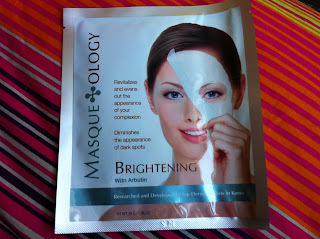 It soothes parched skin while deflecting UV rays." 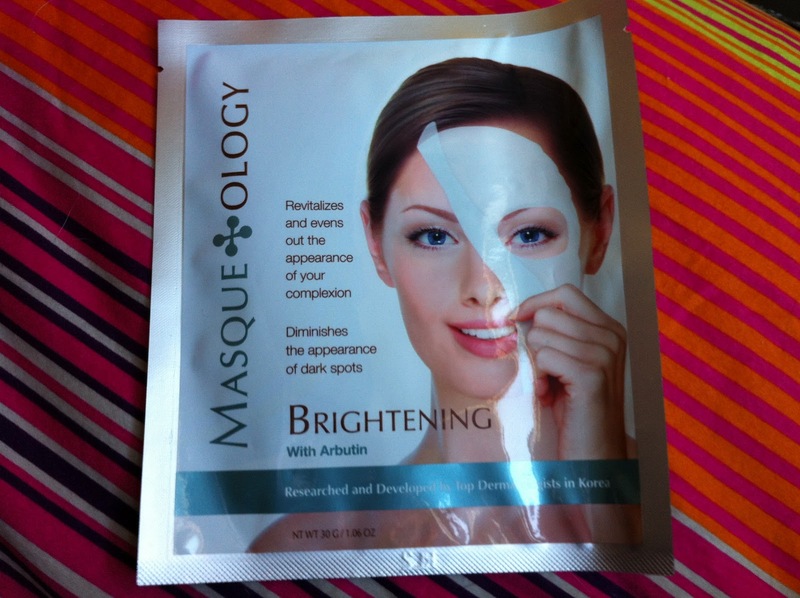 "This targeted sheet mask features arbutin and mulberry root to help even out your skin tone. Use it before, after, or -if you're brave- during your next flight." "We're crazy about this two-in-one lip and cheek stain: the sheer gel formula delivers a subtle, long-wearing flush." "Be prepared for life's little emergencies with these stylish designer bandages." 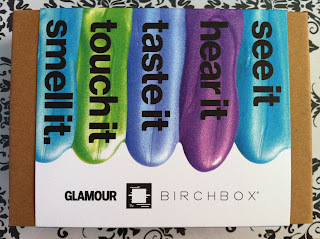 I loved everything in my June Birchbox. I really do wish that I received it a few days earlier in the month, so I could have been able to take these goodies with me on my trip. I can't wait to try everything out! My July Birchbox has already been shipped, so expect another Birchbox blog post very soon!